Travel is a profoundly personal experience. Each wanderer looks at it from a different perspective and for a myriad of reasons. Some look forward to exploring bygone eras while others desire immersion in a cacophony of modern sounds and sights. For few, a hotel is merely a bed to rest in-between bouts of revelry, but to a traveller looking for inspiration, a dwelling unit is also very much a part of the entire experience. We embark on a breathtaking journey, today, of rooms with thought-obliterating views. A magnificent vista inspires contemplation, and there are an immense number of properties around the planet that are truly breath-taking. We picked 4 such rooms from well-known properties. Each suite literally surrounded with spectacular views that makes you take a deep breath, gaze around and be astounded. For us, the pleasure in travel is the gorgeous vistas we encounter and rarely get to experience in ordinary life. The Shangri-La in Paris delivers, and it delivers well. 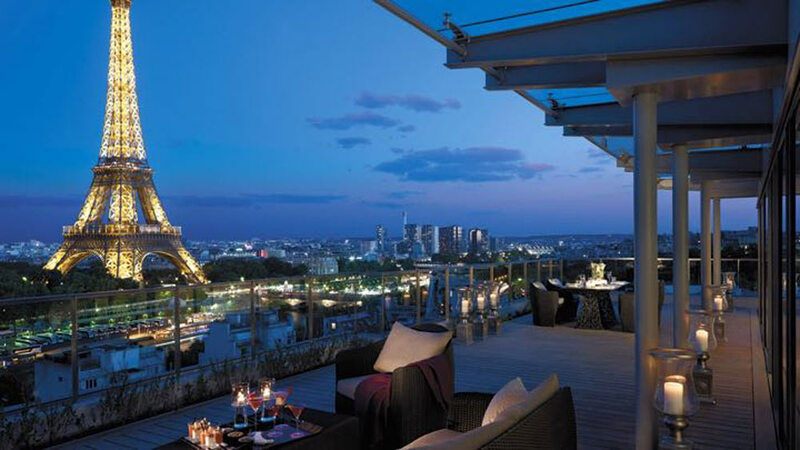 A panoramic window and teak-wood terrace lets you soak in a bird’s eye view of not only the Eiffel Tower and the River Seine, but also the Grand Palais, the Louvre, Notre Dame, the Alexandre III bridge, the Pantheon and Napoleon’s Tomb. If booking a hotel in cavalier fashion is blasphemy to you, then this middle-of-a-desert and deep-in-the-canyon hotel will leave you gasping with astonishment. 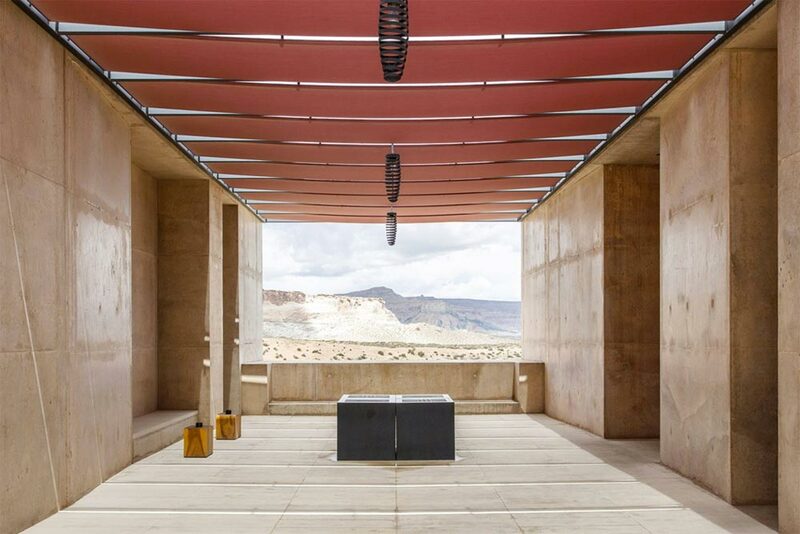 Booking any room at Amangiri dovetails you in stark scenery that screams serenity and luxury. Our particular favourite is the Amangiri Suite with its outdoor desert lounge and sky terrace that lets you savour the landscape. 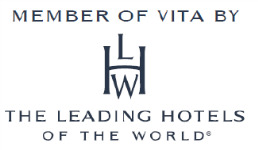 It will make even veteran connoisseurs of hotels sit up and notice. 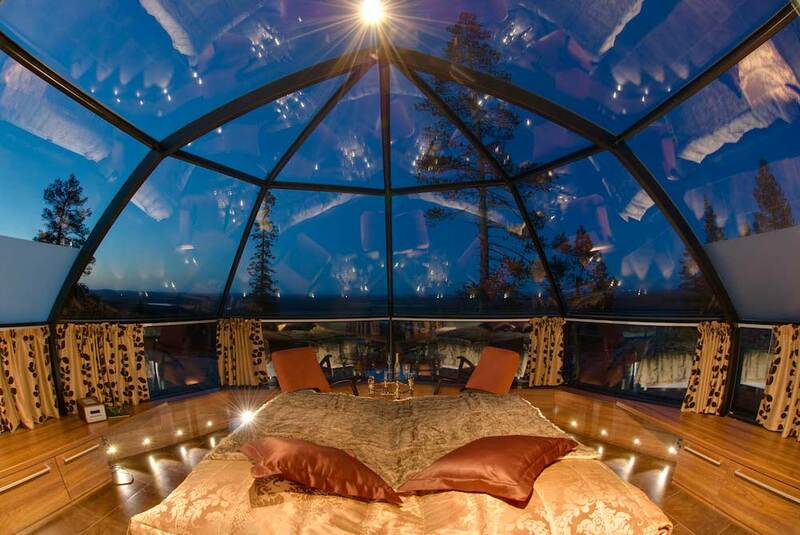 The most unusual room in our list is the glass igloo of this arctic resort. Each igloo that doubles as a room let’s you chase the northern lights from the snug comfort of a bed. The dramatic dance of the rays visible through the roof will have you stifling yawns of gargantuan dimensions just for another glimpse. If a glass igloo is not your cup of tea, then the Kelo-Glass Igloos they offer will be. We promise you; there will be no other backdrop with equally raw and immense power anywhere else. The invariably unintended consequence of having the most ethereally luminescent monument in the world is to have the hotel with the view. No, we did not include the steeped-in-luxury Kohinoor Suite because it is in India. 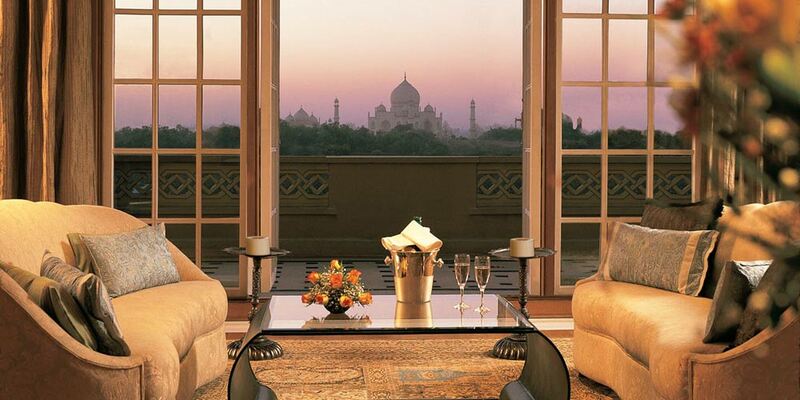 It ranks on our list because it offers an unhindered view of The Taj Mahal at dawn and dusk. The opulent resort, mere feet away from the wonder of the world, lets you soak in the majesty of the marble miracle in the most lavish manner possible. Man was forced to invent work to escape the strain of having to think. And nature created unforgettable panoramas to let us break away from those thoughts. We say give us a chance. From the most discerning to the most get-up-and-go explorer, every man and woman will be left speechless by the rooms we book. Why wait, go see! Travel made easy with Indiana travels.